Ride anywhere with this wide range XG-1275, 10- to 50-tooth Eagle cassette that provides the right gear. Fast on the flats. Control on the climbs. Dictate your own pace, anywhere. Only Eagle technology is the 1x drivetrain engineered for infinite freedom. FULL PIN technology uses lightweight, stamped steel cogs held together with high-strength stainless steel pins. The result: a cassette that’s light and strong. The open design similar to SRAM's X-DOME cassette aids in mud clearance, giving you cleaner shifting performance and longer component life. New X-GLIDE 2 improves both inboard and outboard shifting, as well as chain retention. 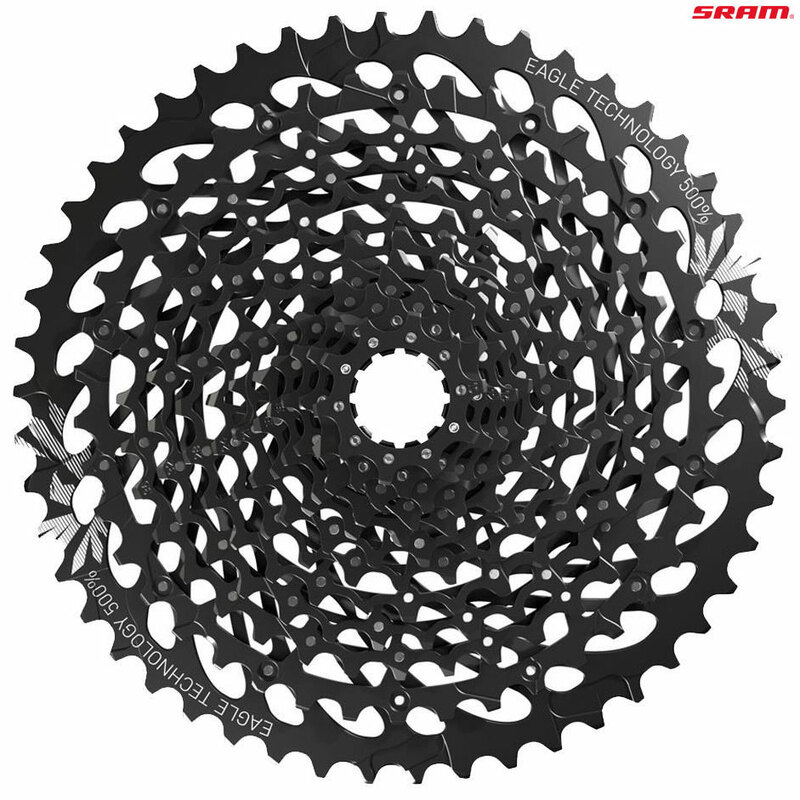 This XG-1275 cassette is an integral part of the SRAM Eagle drivetrain system. NO COMPROMISES. FULL PIN technology uses eleven lightweight, stamped steel cogs and one 50-tooth aluminium cog held together with high-strength stainless steel pins. Super wide 10-50t gear range, a perfect fit for any ride. Optimized gear steps across entire range. Open design aids in mud clearance.